I love Fridays! 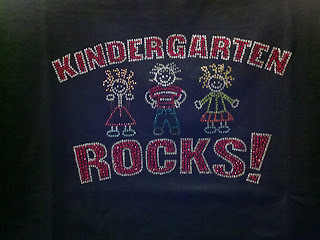 Tomorrow I will be rocking my new Kindergarten Rocks! 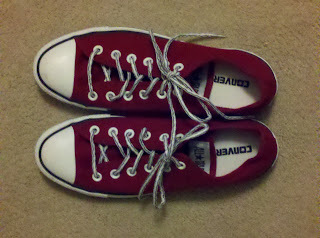 T-shirt and my new red Converse. What Kindergarten teacher doesn't need this shirt. Hop over to Teachershirts.com and grab one for yourself. Here are my reasons for loving this shirt. I love that they have ladies cut. They also have unisex, long sleeves and hoodies too. They are long enough in the torso. I am 5'9, so having a shirt long in the torso is important to me. The ladies cut is a little fuller and has a rounded neck versus the normal crew cut t-shirt. They are super comfy and really cute!!! to take 20% off any order over $40. It will be active from 4/15/12 through 4/30/12.